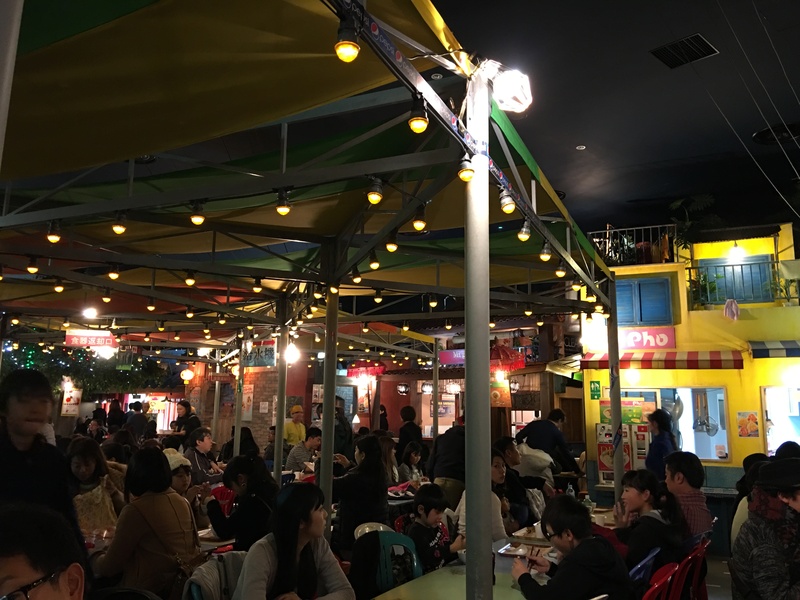 You can have some fun at the Cup of Noodles Museum by going to their International Noodle Food Court. So we decided to try it for lunch. It’s really busy in there! You go to each stall and buy your ticket and get your noodles. 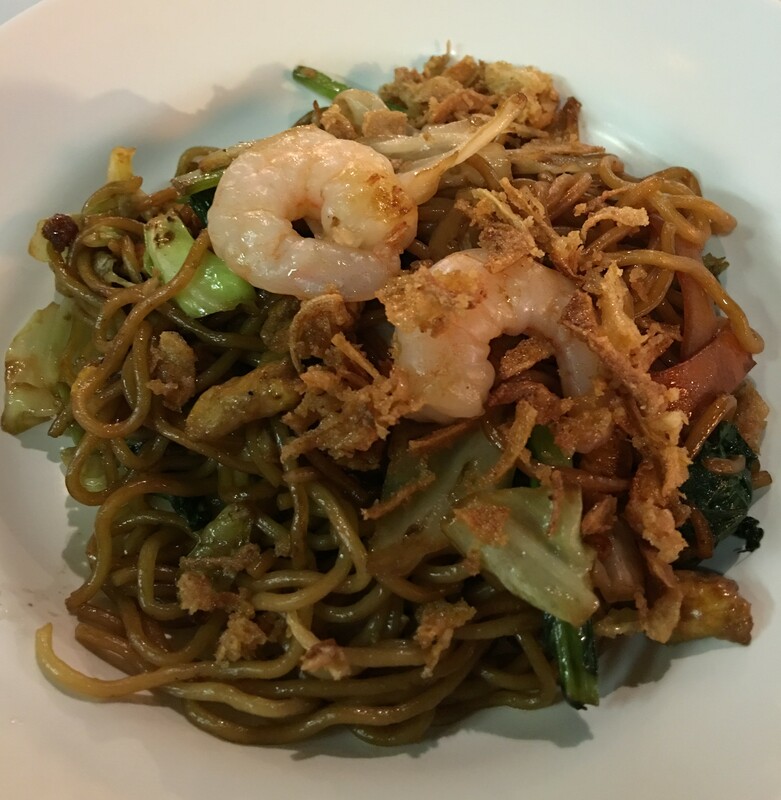 First off is Mee Goreng, which they say is from Indonesia. Not a bad taste at all actually. 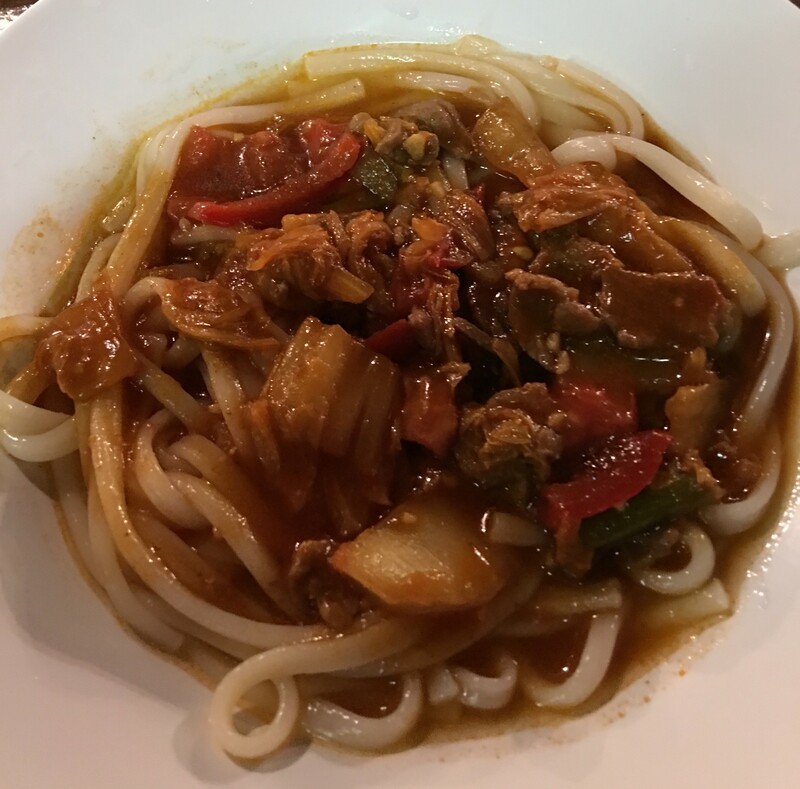 This one is interesting, it’s Lagman from Uzbekistan. This was just ok, a little watery, but different, so we had to try it. This is the Nissin mini ramen. Interesting. 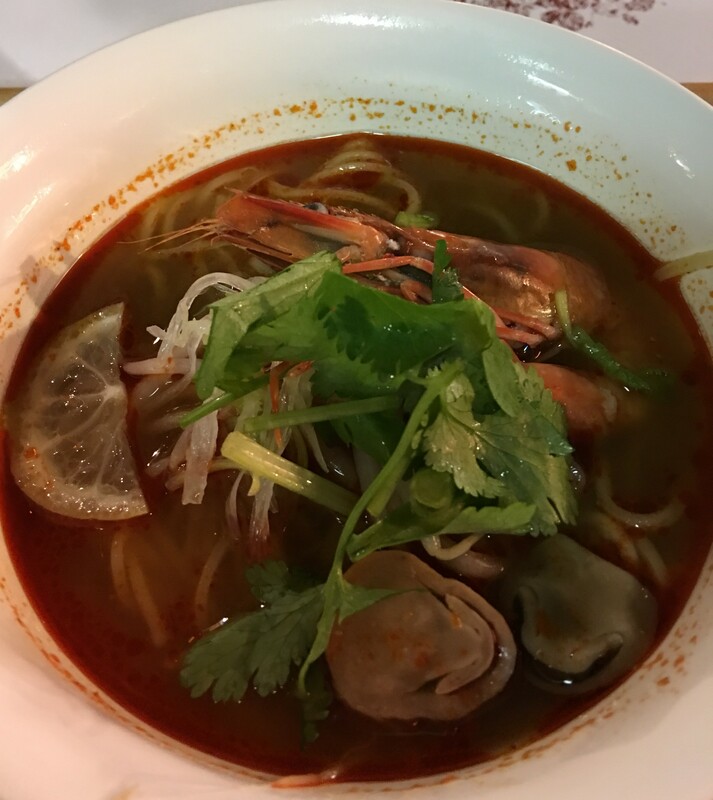 Tom Yam Noodles. Spicy and good! And there is dessert! 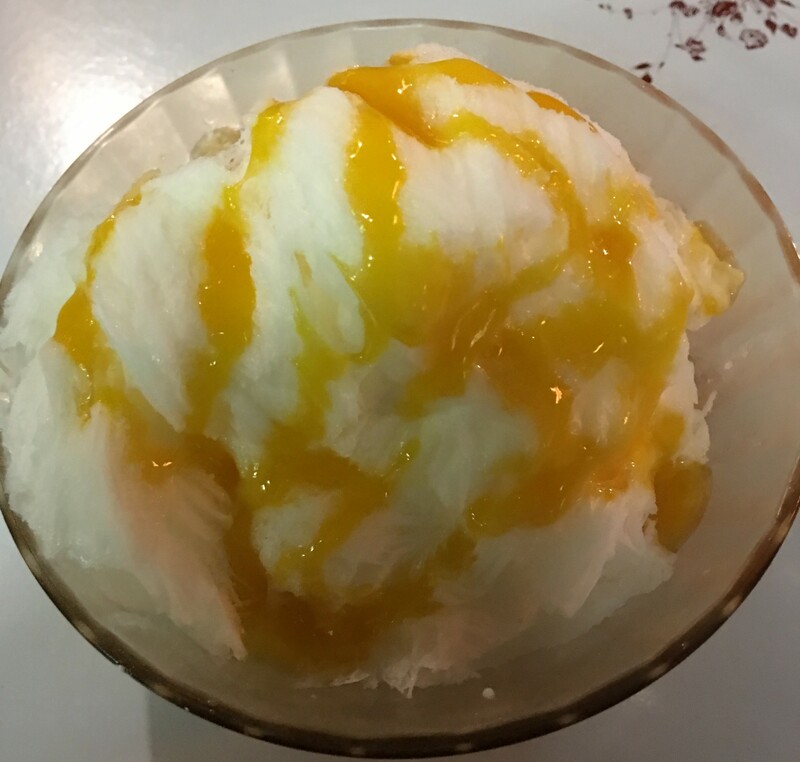 Mango Snowy Ice. When you visit the Museum, you have to try it. It’s fun and pretty tasty. 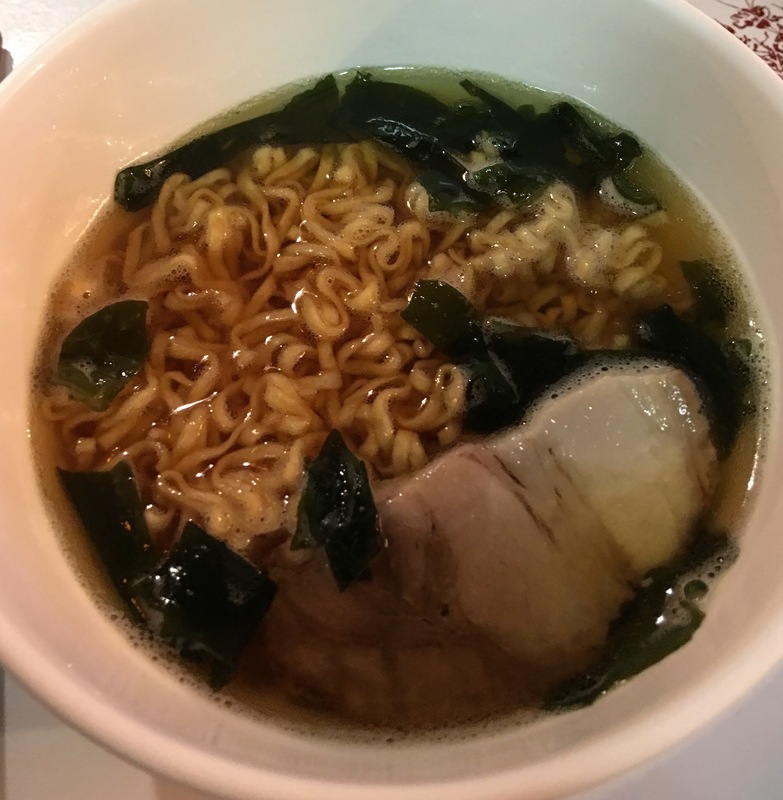 Posted in Ramen, YokohamaTagged Instant Noodles, Japan, YokohamaBookmark the permalink.